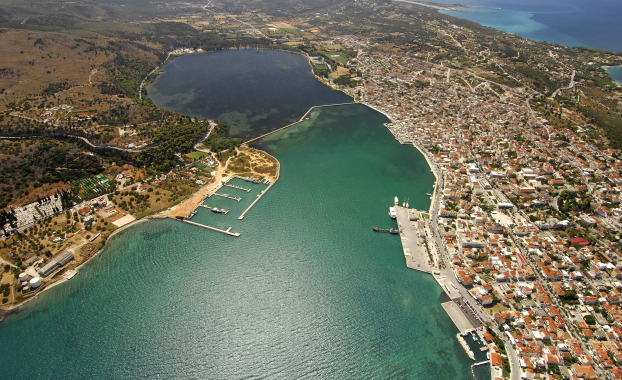 Argostoli is the capital of the island since 1757. Built amphitheatrically with a view of the Koutavos lagoon, the city has many neoclassical buildings, squares, churches and a remarkable Botanical garden. -The Archaeological Museum where important findings dating back to the Mycenaean period are exhibited. -The Korgialenios Library, one of the biggest libraries in Greece, houses more than 55,000 volumes and a great collection of Byzantine icons. -The Folklore and History Museum hosts exhibits associated with the history of the island (costumes, weapons, heirlooms etc.) and many every-day objects. -The Napier Garden, which was named after the British Governor Napier. -The Rizospaston street, a road full of palm trees, leads to the Vallianos central square, where there are many cafes, restaurants and bars. -Lithostroto is the main pedestrian mall street of the town, where the orthodox church of St Spiridonas and the unique catholic church of St Nicholas can also be visited. -The Clock Tower in Kambana Square (the Bell Tower) in Lithostroto street is surrounded by shops and cafes. -The De Bosset 900-meter stone bridge was built by the English in 1813 to connect Argostoli to the opposite coast. -The Aqui Division Memorial, St Theodori lighthouse and Katavothres with the Sea Mill, featuring the rare geological phenomenon.